Jacquelyn specializes in the industrial & logistics space, helping national and regional property owners and occupiers meet their unique real estate requirements. Jacquelyn joined Colliers in October 2018. Before then she was regional commercial real estate software success analyst for Costar Group, Jacquelyn utilized various data sets and industry best practices to guide her clients on property risk assessment, investment analysis, and more. Jacquelyn graduated with a Bachelors degree in Professional Sales from William Paterson University in Wayne, NJ. She is currently enrolled in Cornell University's Certificate of Real Estate to continue her education in the commercial real estate space. As a charter member of the Colliers' Logistics and Transportation (L&T) Solutions Group, Noah Balanoff represents institutional property owners as well as national and regional occupiers in their industrial and supply chain/logistics-related requirements. 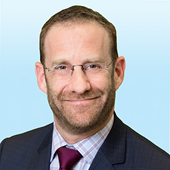 Noah has been in the commercial real estate industry since 2005 and joined Colliers International in January 2017. Prior to joining Colliers, Noah was a Senior Vice President with CBRE in New Jersey, where he was a member of the Industrial & Logistics Group. Noah began his career at Cushman & Wakefield in New Jersey and was a member of their Industrial Transactions and Global Supply Chain Solutions practice groups. Noah specializes in sales and leasing of warehouse and distribution facilities, with a specific focus along the New Jersey Turnpike corridor, primarily in the Interchange 8A/7A, Port Newark/Elizabeth and Meadowlands submarkets. Prior to his career in commercial real estate, Noah worked for six years in the marketing industry, specializing in brand strategy, development & consulting. This experience has helped him to successfully blend creative marketing and tactical execution to each client project, particularly with institutional landlord assignments. A graduate of University at Albany, Noah is also a Certified Commercial Investment Member (CCIM), a recognized expert in the disciplines of commercial and investment real estate with specific skill sets in the areas of: financial analysis, market analysis, user decision analysis, and investment analysis for commercial investment real estate.